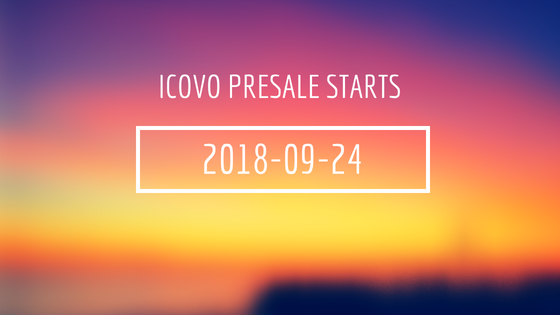 ICOVO pre-sale starts on Sep 24th!! We will start our pre-sale on Sep 24th at 00:00 (UTC)! We are proud to announce that we have launched the pre-sale of OVO tokens. The current token bonus is 40%. We accept ETH. KYC (Know Your Customer) and AML (Anti-Money Laundering) authentication will be mandatory to participate in the token sale. Residents of countries that prohibit participation in ICO token sales cannot participate through our platform. Whitelist registration is necessary to participate, and thus those who wish to do so must register using the dashboard on ICOVO Web. If you have any questions, free to ask us on Telegram.